• Female 5’7″ – 5’8″, size 2-4, Caucasian. Age range 21-30, dark brown straight hair, shoulder length or longer. • Male 6’3″, 42-44 jacket, Caucasian. Age range 25-25, dark drown-black hair straight, not buzzed. • Male 6’3″ 44-46 jacket, Caucasian. Age range 40-50, med. brown-grayish hair, not buzzed. • Male 5’10” 42 jacket, Caucasian. Age range 25-35, dark blonde-med. brown hair, not buzzed. Please submit a very recent photo with current stats and cell phone contact number ASAP! Put “Pitt 2nd Unit Stand-In” in the subject line of your email. List any experience with submission. Walt Disney Company’s Marvel Studios is currently shooting the superhero blockbuster feature film “The Avengers”. The movie is being directed by Academy Award nominated Joss Whedon. Whedon also re-wrote a script that was originally written by scribe Zak Penn. There will be an official open casting call being held by Marvel Studios in Cleveland, OH on July 15th and 16th for local area people interested in appearing in the film as extras. Note: You do NOT have to be a resident of the Cleveland, OH area to work on “The Avengers”, however you do need to be located within reasonable driving distance of the Cleveland area during your availability commitment to the casting director. For instance, if you are in Cleveland on vacation or visiting anytime for the duration of filming, you can submit the information where you are staying, and days of availability to the casting director. If you fit anything they need while you are available, they may cast you to work on the show. The open casting call details are listed below. Marvel Studios Co-Presidents Kevin Feige and Louis D’Esposito, VP Development and Production Jeremy Latcham, Executive Vice President of Visual Effects Victoria Alonso, and Executive of Animation Development Joshua Fine are overseeing production for the studio. Jon Favreau is co-executive producing “The Avengers” under his Fairview Entertainment banner. “The Avengers” has been shot primarily in Albuquerque, NM, however there will be a substantial amount of shooting in Cleveland, OH also. The picture was originally slated to start filming in February, 2011 but Marvel Studio executives pushed the production start date to April, 2011 to accommodate the change in filming locations. Cleveland area filming on “The Avengers” is due to begin in August, 2011 and will last through September, 2011. Currently, the movie scheduled to be released in theaters on May 4, 2012. • As many Cleveland local residents as possible will be cast. • This is a fully paid job. 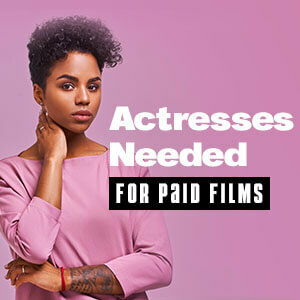 • No experience working as an extra or actor is required. • All ages and types are needed, but must be 18+ to attend. • Parents can submit current pictures of children under 18. • Come to the open call wearing your best business executive outfit. • Please be well groomed, and well dressed. • Please bring a pen and 2 forms of legal ID. • Photos will be taken at no charge at the open casting call. • Do not contact the open casting call venue. Please be prepared to fill out a form with your physical stats, all clothing sizes, and contact information. When an unexpected enemy emerges that threatens global safety and security, Nick Fury, Director of the international peacekeeping agency known as SHIELD, finds himself in need of a team to pull the world back from the brink of disaster. 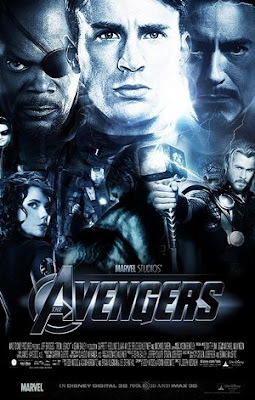 A superhero team called “The Avengers” do battle against two separate alien extraterrestrial humanoid life forms. The Avengers are a superhero team, consisting of a group of Marvel Comics heroes aka “Earth’s Mightiest Heroes”. The aliens that The Avengers will fight are called “The Kree” and “Skrulls”. These two extraterrestrial races become embroiled in a war for ages that ultimately makes its way to Earth, and the Avengers unite to intervene with all their power and might combined.